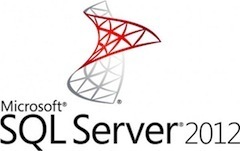 This instructor led course provides students with the technical skills required to write basic Transact-SQL queries for Microsoft SQL Server 2012. This course is the foundation for all SQL Server-related disciplines; namely, Database Administration, Database Development and Business Intelligence. This course helps people prepare for exam 70-461. All the labs for this course can be performed using the provided virtual machines. However, if you have a Microsoft Windows Azure account and the classroom virtual machines connect to the internet you may be able to connect to your Windows Azure server and database from the classroom. Many of the labs in this course are enabled for you to perform the lab while connected to your own Windows Azure database in the cloud. Your instructor should be able to provide a current list of Windows Azure enabled labs.